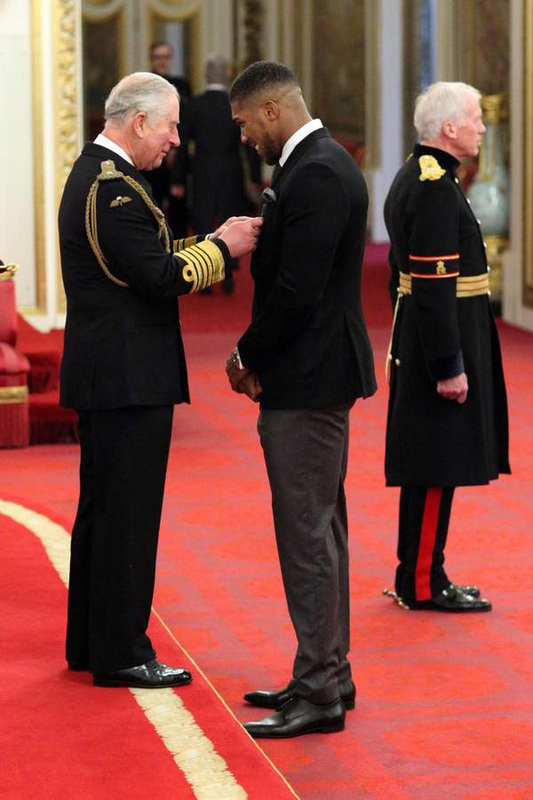 World heavyweight champion Anthony Joshua received the honour of the Officer of the Most Excellent Order of the British Empire (OBE) from Prince Charles. 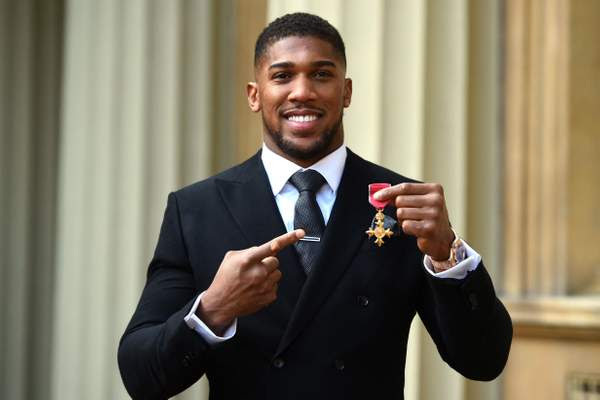 Joshua who holds four titles belts was awarded one of the highest honours in Britain by at an award ceremony held at Buckingham Palace, on Thursday, December 20. The 29-year-old boxer has become a stronghold in boxing restoring fame to the heavyweight division and was previously awarded the Member of the Most Excellent Order of the British Empire in 2013 following his achievements winning a gold medal at the London 2012 Olympics. The OBE title is one the highest honours given by the queen and at the occasion reinforced his commitment to unifying the heavyweight division. In a report by the Standard, Joshua stated that he wants to fight Deontay Wilder who holds the WBC belt. “I hope to be back there but it’s a fan sport. A Wilder and Joshua fight could happen in April, 2019 and could possibly face the winner of the brutal clash between Dillan Whyte and Derek Chisora.